Earn $2.31 in VIP credit (231 points)What's This? 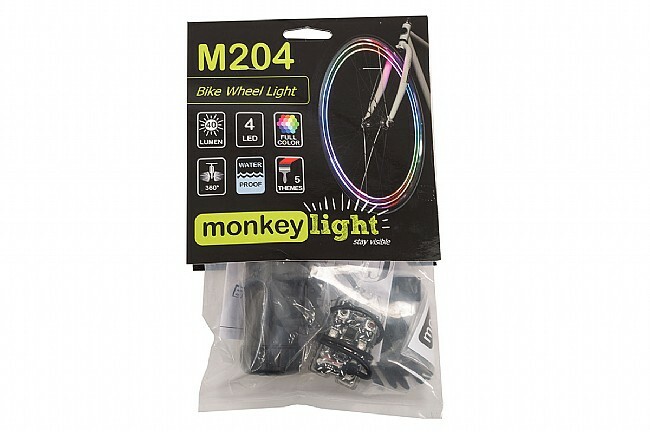 Add some flare and some visibility to commutes or joyrides with the entry-level MonkeyLectric M204 Monkey Light. 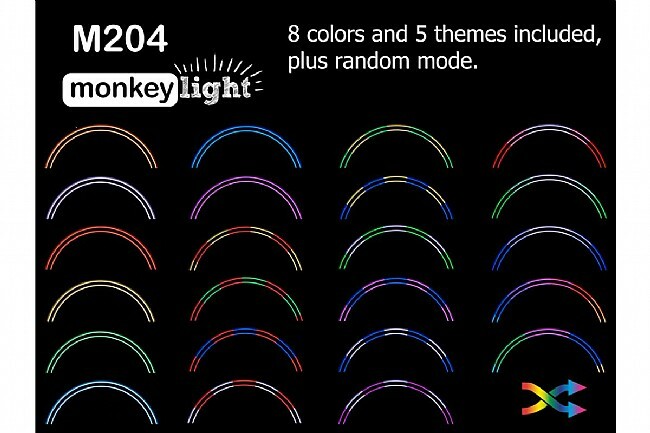 This wheel mounted, full-color, 4 LED, 40 lumen light provides 360° of visibility in an array of awe-inspiring light patterns and color. It's highly visible at all speeds, and the durable rubber construction is waterproof for all-weather use. 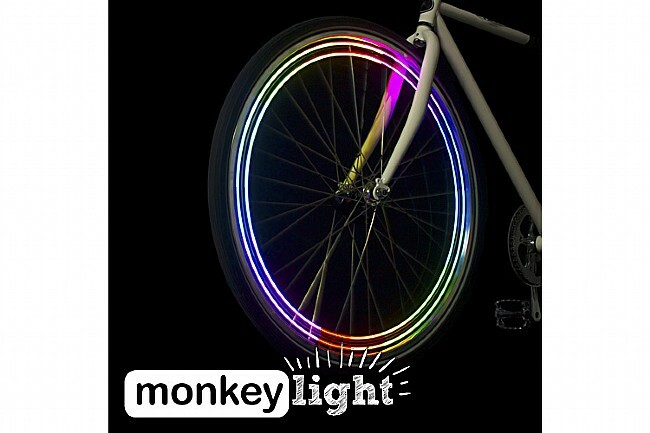 The M204 Monkey Light attaches to the spokes of standard bicycle wheels 16" and larger and includes a stainless steel anti-theft strap. The hub mounted battery holder keeps the wheel balanced, and it runs on 3 AA batteries (not included) for up to 60 hours of runtime. Sold per wheel. Made in the USA. MonkeyLectric M204 Monkey Light is a great addition to the lights i have on one of my bikes and gets alot of attention everywhere i go! Every evening i ride to the local corner store with these lights on through my neighborhood and get alot of thumbs up along my ride.